The Government will only meet its 300,000 homes a year target for England if it increases funding for affordable housing and moves away from an over reliance on private sales, according to a new report. A slowing private market, tapering of the Help to Buy scheme and a potential Brexit downturn will deepen the housing shortfall and that directly funding housing associations will be critical to closing this gap and delivering more affordable homes, says the report produced by Savills and published by the National Housing Federation, the G15 and Homes for the North. 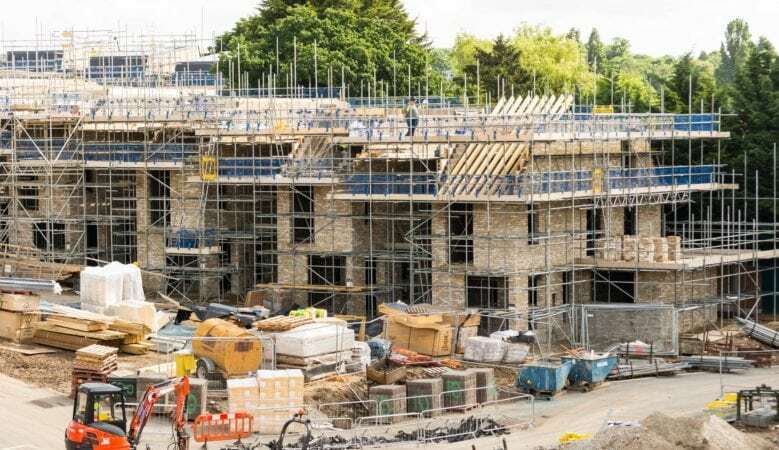 While new home completions look set to reach 260,000 homes per year by 2021, the report points out that longer term delivery remains decidedly uncertain. In a challenging market, house building in England may need to increase by up to a third between 2021 and 2025 to make up for the end of the current Help to Buy scheme and hit 300,000 homes a year. The research found that increased Government funding for affordable housing which has fallen dramatically from 50% of the cost of building a home before the financial crash to just 12% today will add to, and not displace, existing investment from the private sector. The report findings come as growth of the big nine private house builders, who are currently responsible for some 40% of new completions, continues to slow. As well as investment in affordable housing, the report calls for more joint ventures between the private sector, councils and housing associations, and increased use of long term funding models such as the strategic partnerships rolled out by Homes England and the Greater London Authority. The research shows this would help ensure new funding adds to overall delivery. ‘Increasing grant funding for affordable housing will reduce the market risk that housing associations are currently exposed to and help us build during downturns. Our sector is reliant on a cross subsidy model where the money we make from private house building is reinvested into affordable homes,’ said Paul Hackett, chair of the G15 and chief executive of Optivo. ‘But this model is at full stretch and massively exposed to the market. Savills’ report shows that a new funding deal for affordable housing is now imperative if the Government wants to hit its housing targets over the next decade,’ he added. According to Kate Henderson, chief executive of the National Housing Federation, the research shows that relying on private developers to end the housing crisis is fatally flawed. ‘Without Government investment in affordable housing, it just won’t be possible to build enough homes to ensure that everyone can have somewhere stable and affordable to live,’ he said. ‘If we are serious about ending the housing crisis, the Government must do the right thing and invest in affordable housing at the upcoming spending review. Doing nothing is simply not an option,’ she added. The report demonstrates that, whilst housing market trends play out differently across our regions, the need for long term funding certainty to develop much needed new homes needs to be recognised throughout the country, according to Carol Matthews, chair of Homes for the North and chief executive of Riverside. ‘This has been an important piece of work for Homes for the North to collaborate with key partners on to show that the North, together with all regions, has a pivotal role to play in building the 300,000 homes needed each year,’ she explained. ‘As the report finds, volume housebuilders’ rate of delivery is predicted to slow further in the coming years. Housing associations stand ready to fill this gap by working with the Government to grow our development pipelines and make our contribution to tackling the housing crisis,’ she added. Emily Williams, associate director for residential research at Savills, explained that private sector house building for market sale has underpinned the rapid expansion in housing supply since 2013, including affordable housing delivery through Section 106. ‘But that growth is slowing against market headwinds. The tapering and potential withdrawal of Help to Buy represents a significant downside risk to speed and scale of development for the majority of developers, including housing associations. Increased grant funding would widen the range of tenures being built, accelerating the speed of market absorption and therefore the build out of sites,’ she added. The report has been produced by Savills and was co-sponsored by the National Housing Federation, the G15 group of London’s biggest housing associations and Homes for the North, an alliance of 17 of the largest developing housing associations in the North.